Some of our locations are set up with a state-of-the-art CNC wheel lathe. The device cuts a fine layer of aluminum from the entire face of the rim with exacting precision, producing a new finish that is equal to or better than original factory finishes. The machine is specifically designed for those wheels with machined finishes. 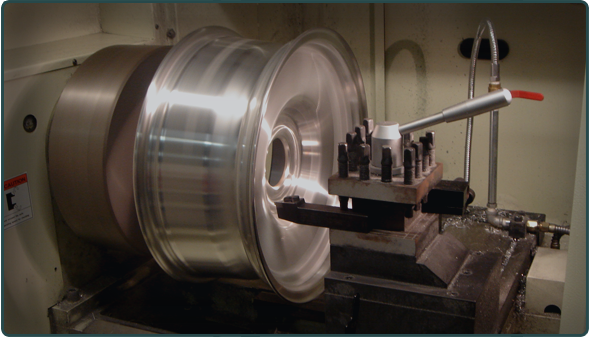 A machined faced wheel has a bright finish much like polished aluminum. However, upon closer inspection, machined rims have tiny machine lines cut into the aluminum.